So reads the first amendment to our Constitution, guaranteeing us the right to speak without reprisal or restriction by the federal government. 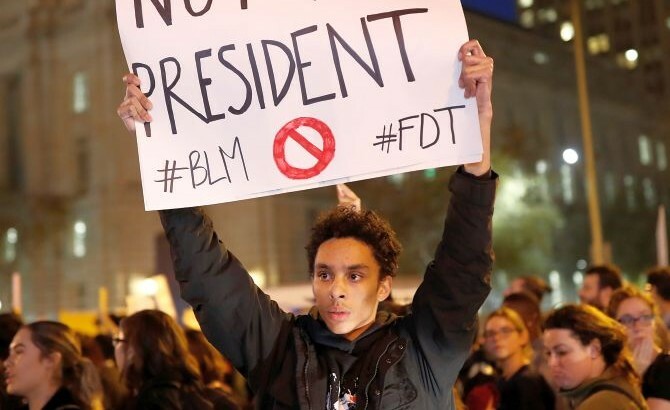 It is this right to which appeal is made by those protesting across our land to the election of Donald Trump to be our next President and of those in the so-called “Black Lives Matter” movement against alleged police brutality against black Americans. All of our rights must be put into their proper perspective and hierarchy. For example, in regards to speech, you have the right to speak freely about someone else, but you do not have the right to libel and/or slander them so as to cause them harm. In the case of many of these protests, not only are they voicing their displeasure verbally, but they are also rioting and causing damage and destruction to the personal property of others. This is where their freedom of speech comes to a screeching halt as it violates the broader picture of the freedom and rights of others. Furthermore, when put in context with the remainder of the amendment, they are even further off-base. In the exercising of their right to free speech, they are assembling into groups to voice their grievances. Yet, the amendment states that we are guaranteed the right to peaceably assemble, which by exclusion would mean we do not have the right to assemble and commit acts of anarchy as many of these “Trump” and BLM protesters are doing. Second, the amendment guarantees the right to a “redress of grievances” from the government. Yet with the “Trump protesters” there is no grievance to be redressed. The government has done nothing for which a redress is warranted. The election was held per the guidelines contained within the Constitution, so there is no wrong, legally or constitutionally, to be absolved. As for both groups I have mentioned, if redress is to be sought, I would point them to the example of the approach described within our Declaration of Independence. In it Jefferson point-by-point, in a respectful manner, set forth the grievances the colonies had with King George III and in the end declared their wish to be independent of his rule. Such obviously resulted in the violence of war, but the intention behind the declaration was that a peaceful resolution to the separation of the colonies from England could be found. With the right to the freedom of speech, as with all rights, comes responsibilities and limitations. Determination should first be made as to whether or not what you are protesting is indeed a grievance. Second, are the protests being made in a peaceable manner, and third, is the approach to resolving the grievance the legitimate way in which to express the it? These are the sober and constitutionally-minded questions that those protesting today need to ask themselves. “…if the legislative body were continuously convened,…if the legislative body were once corrupted, the ill would be without remedy. When various legislative bodies follow each other, the people, holding a poor opinion of the current legislative body, put their hopes, reasonably enough, in the one that will follow; but if the legislative were always the same, the people, seeing it corrupted, would expect nothing further from its laws; they would become furious or would sink into indolence” (Book 10, Part II, chapter 6). One of the issues that Republican presidential nominee Donald Trump has made part of his campaign is to push for Congress to send to the states for ratification an amendment to the Constitution to limit the length of years individuals can serve in Congress. However, unlike others who have pushed for term limits, he has added another ingredient that must be included else term limits, by themselves, will not end the corruption but instead, abet it. The other side of the term limit coin that Trump has added is the limitation and/or prohibition of former members of Congress becoming lobbyists after they leave office. During the time of our founders, they referred with disdain to those we call lobbyists as “stock jobbers”, and were against allowing these kind of individuals from influencing those in power. Trump suggests that former members should be prohibited from becoming lobbyists for at least 5 years after leaving office, but I would suggest he should go further and make it a lifetime ban. The reason this is necessary and why term limits alone will not end corruption is that in a representative’s or senator’s final term, he/she would be a “lame duck” and therefore more interested in “paving the way” for their future rather than serving the interests of the people. Thus they would be more inclined than ever before to do favors for those they hoped would employ them when their term was up. We’ve had enough of the “pay to play” not so “merry-go-round” with the Clintons to last us a lifetime – we don’t need to create an environment that would encourage it. 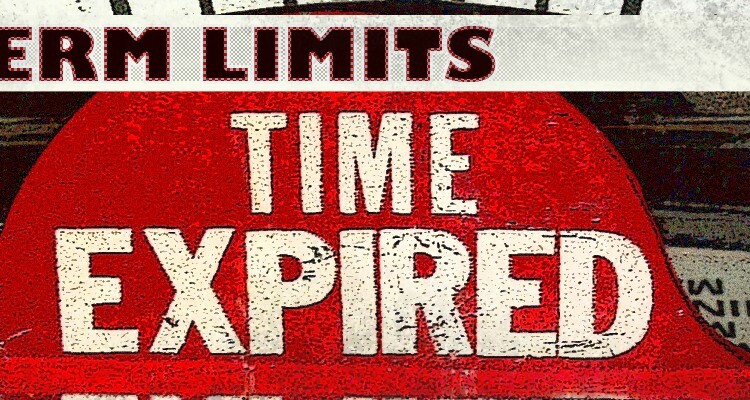 Term limits – yes, an unfortunate remedy which I have reluctantly come to embrace, but only if we have the other side of the coin put in place along with it.